North Wales is blessed with a glorious combination of cultural and natural attractions, which lure active nature lovers and culture vultures alike. The most popular attraction is Mount Snowdon, the highest mountain in Wales and the jewel in the crown of the Snowdonia National Park. Made famous by many poets and artists, hiking Mount Snowdon is the highlight of a trip to the UK for many active travellers. 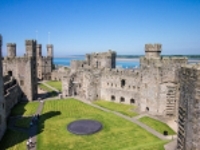 The historic towns of Caernarfon, Beaumaris, Conwy and Harlech all offer worthwhile sightseeing opportunities, and the Edwardian castles and fortifications of these old towns have collectively been listed as a UNESCO World Heritage Site. 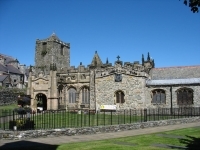 The north of Wales also offers seaside charm, with Llandudno and Holyhead attracting many visitors. Llandudno boasts a wonderful promenade and some glorious coastal walking trails. A glorious way to experience some of the Welsh countryside is to take a trip on the Ffestiniog Railway, said to be the oldest operational railway in the world, which runs from the harbour at Porthmadog to the old village of Blaenau Ffestiniog, traversing some beautiful landscapes. A regional rail pass for northern Wales is a good option for travellers as the area is lovely to explore by rail.